Ok! Ready to think TUMSFast? TUMS is giving away 5 $100 Prepaid Visa gift cards in their contest! 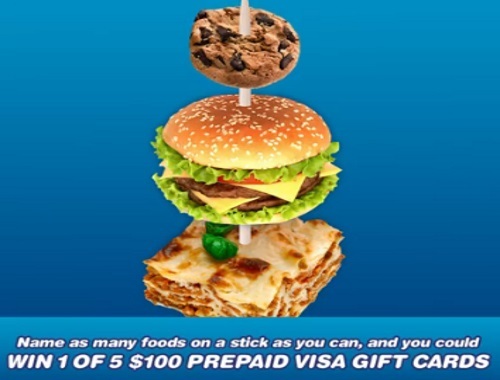 Name as many foods on a stick as you can, and you could win 1 of 5 $100 prepaid VISA gift cards! No purchase necessary. The winners will be randomly selected on August 25, 2017. One entry per person, multiple comments are not multiple entries. Not valid for Quebéc residents, must be the age of majority in your province or territory of residence.